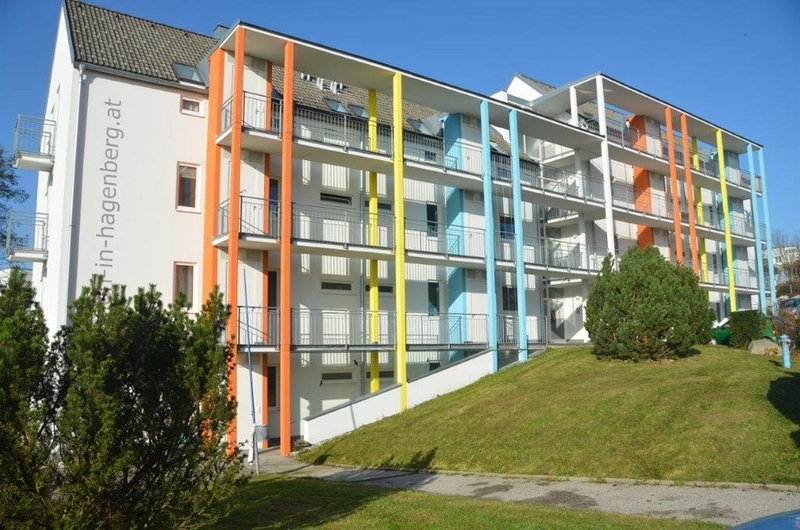 The residential building in Hagenberg known as the "I-Haus", built in 1996 and refurbished in 2011, was the first residential complex in Hagenberg to enable students to live in shared apartments for 3, outside classic student halls of residence. The building is structurally part of the campus, so you can reach the FH "without getting wet" even in poor weather. The 16 apartments are approx. 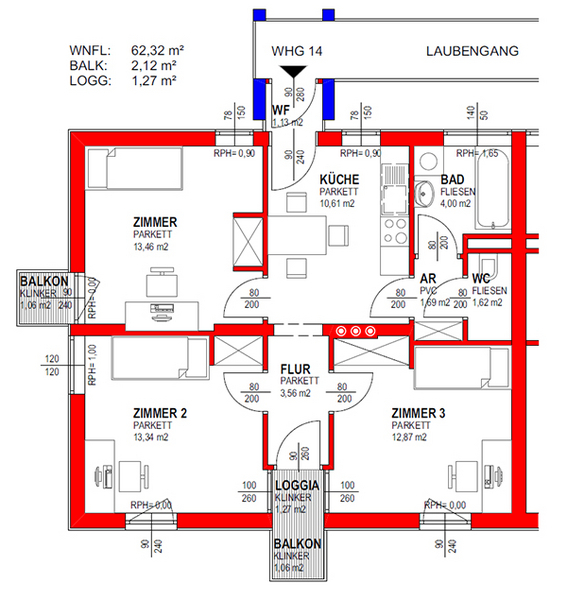 64 m² in size, designed as shared apartments for 3 people and consist of 3 equal-sized bedrooms, a shared living/dining area, kitchen block and bathroom or shower and WC. A car parking area and a cellar section is assigned to each apartment. A shared wash-kitchen with washing machine and dryer is available for the residents' use. 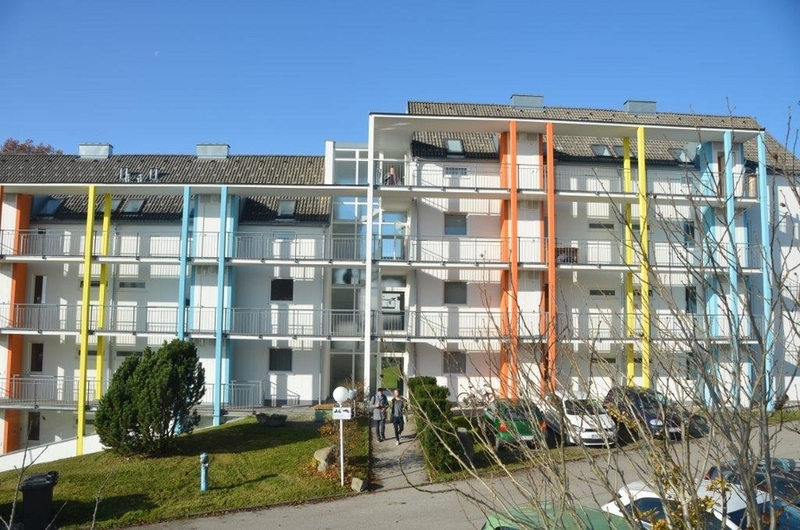 The apartments are heated with electrical night storage heaters and/or under-floor heating. 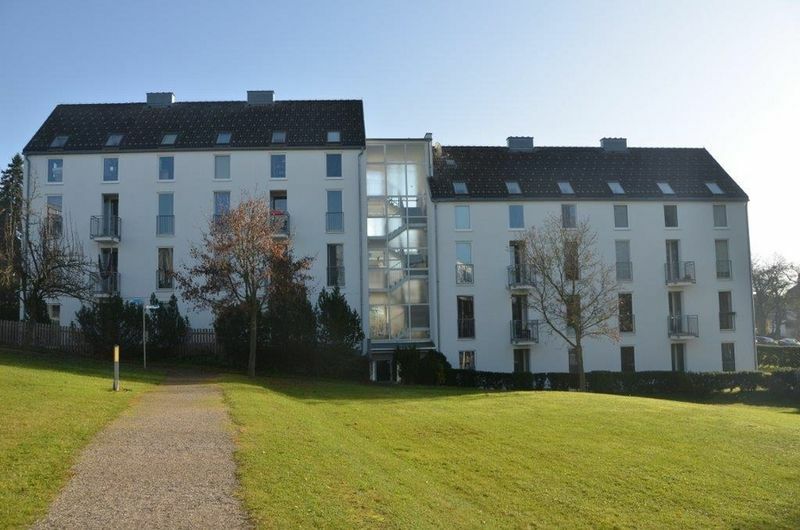 16 apartments located directly on the Uni Hagenberg Campus are available to students. Right next to the FH 1 building, the 64 m2 apartments for 3 people offer the ideal environment for combining studying and living. On the map you can see the optimal location of the residential buildings in relation to the campus and Softwarepark Hagenberg. Even if all shared apartments are currently occupied, it is always the case that, during the academic year, individual tenants / residents of a shared apartment end their course of studies or simply move out, for all sorts of reasons. Fill out our Enquiry Form and register with our Apartment Sharing Exchange – this way, if the two remaining students look for a “replacement”, they are bound to notice you. If you would like to spend your free time from studying in a newly built, fully equipped shared apartment, or need information on availability, equipment, how to proceed and prices, we will be happy to get in touch with you without delay.